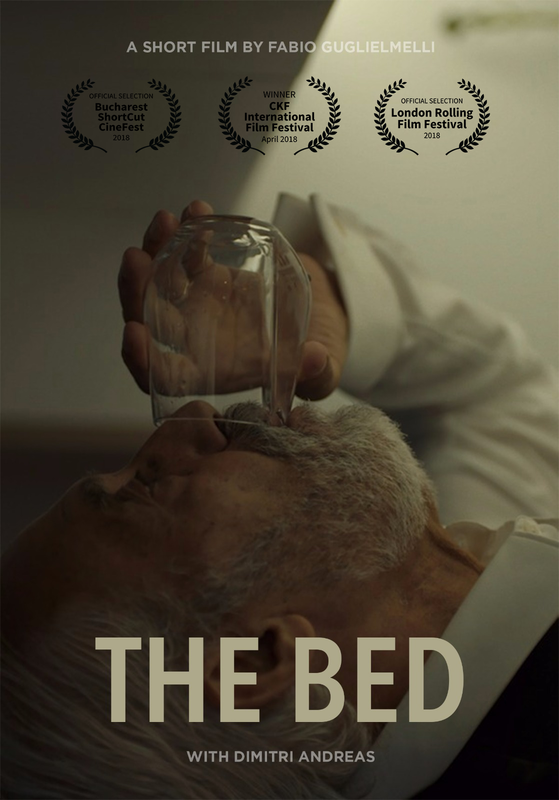 Fabio Guglielmelli's short film "The Bed" had me asking one massive question. What was it about? I'm not new to going into a title blind. Most times I don't even read the descriptions at all. The hope is that the film will explain itself before the credits begin to roll. If nothing else, a film should have an easy to follow story. With this title I was left with about as much as I started with and can only call this a visual diary of the average man - on an average night. We have "the man" portrayed by Dimitri Andreas. A seemingly normal gentlemen who, by the looks of things, just had a small group of people over for drinks. After performing a quick tidy-up, he attempts to call it a night. Sleep doesn't come. Through the rest of this short film, this man rambles around his home. Lies down on the couch. Rambles some more - and then it's morning. All the while remaining dressed to the nines I should add. Essentially, "The Bed" would be what many of us consider a normal, sleepless night. All this is done with no dialog and for the life of me, I simply can not understand the story being told. Unless that is, the story is that there is no story. So I was left with one question. Did I believe this man could be real? Not some actor playing a part? Yes I could. The hum-drum life of the every-man is presented quite nicely here. These are almost the exact routines I sometimes do when sleep doesn't come. What the guy down the street probably does also, and what you may find yourself doing from time to time. Other than that, I completely missed the point of this short title. I even watched twice to make sure I hadn't missed an important element somewhere along the way. Story aside, what I did like about "The Bed" was the way Fabio Guglielmelli presented it. Some excellent work behind the camera allowed us to easily follow along on this night of sleeplessness. Everything felt in place, timed right, and even the lighting was pretty good for the most part. Had I actually been able to pull a story from this title, there's no question my rating would have been higher. I should also point out the mood of this film. The normality of life was handled quite well and as the end drew near, I, for whatever reason, got a slight case of the chills. Like something ominous had taken place - or was about to take place. Something about the edit, the light and even the audio just screamed creepy. That odd feeling at the end was one of the reasons I gave this film a second watch. Just to make total sure I hadn't missed something, that would have made this chill in my bones make sense. Couldn't find anything - yet the feeling remained and was quite powerful. I don't claim there was actually no story with this title. I simply couldn't figure it out myself. That didn't stop me from "wanting" to figure it out. That was the reason I took a second run at things. The way "The Bed" shows itself almost demands you try and figure things out. Perhaps that was the point. Perhaps not. Guglielmelli's short film plays better than a lot of short films I've seen that "do" have an easy to follow story. You yourself may not get it either, but watching things unfold - or not unfold - definitely doesn't hurt the eyes. I'm interested to see what other people glean from this short film when it becomes available. Feel free to drop a comment.